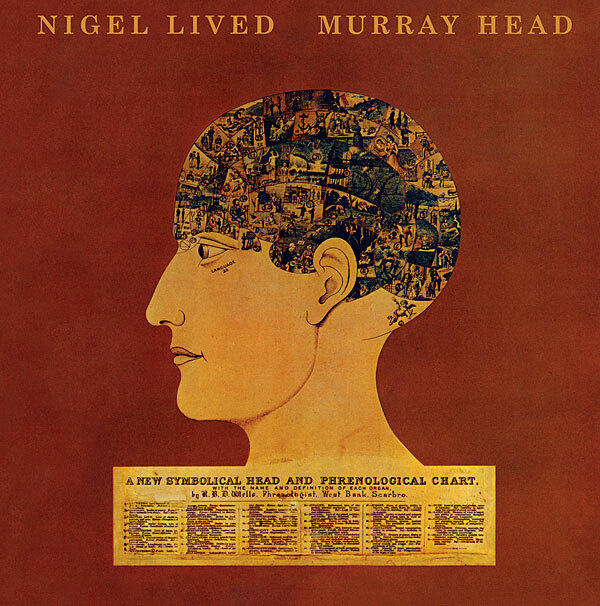 Nigel Lived is an ambitious, experimental album full of great songs that required stunningly diverse recording techniques and instrumentation on every track. There are beautiful acoustic works that draw a straight line to Murray's later albums like "Ruthie" and "When You Wake Up In The Morning," there are straight-up rockers and amazingly innovative tracks like "Religion" and the sprawling "Junk." Nigel Lived was mastered directly from recording engineer Phill Brown's 1/4" 15-ips analog tapes from 1972. Phill was gracious enough to let Intervention and CoHEARent Audio's Kevin Gray cut directly from these beautiful-sounding tapes. Intervention early on made the decision that Nigel's re-release had to be a double LP set at 45 RPM to preserve the magnificent sonics Murray, Phill and Co. put on tape and make the best-sounding Nigel possible. Nigel's original vinyl release was very challenging to cut with side 1 at over 22 minutes and side 2 at an amazing 27 minutes of run time! There's no doubt, especially on side 2, that levels had to be dropped, and the bass had to be filtered on the original LP. Our 45 RPM cuts required no comprimises of any kind, so people today can hear Nigel at his best on his 45th birthday! Keep up with all the latest news and release information from Intervention here. Click here for more info about Intervention Records. Also in it to win it!! His albums are hard to find. I never see them when crate-digging here in New Zealand. ... just red the book "Are we still rolling" by Phill Brown. Phill thinks today, that this record is one of his finest works! Would be nice to win this one, best of luck to everyone! because I've never heard it. saw the stereophile article. would love to hear it. I'm game, count me in! I am overdue for some new music! Already have the CD. Would love to hear the LP. Still listen to my original LP of Say It Ain't So. I can spend the $ I save by winning this on other vinyl. I'm in alignment for a Win! They are doing everything right. Keep it up! The record, I want it. Thanks! I hope to win! Unless I don't win, then he didn't exist! It would be a pleasure to win this (or anything for that matter)! I'll buy another Intervention release. of Murray Head. Just gave it a listen, very interesting indeed! but I'll buy it if I don't. Damn great choice for a great reissue! Time well spent doing this one! To paraphrase Murray Head, "me please". Love anything that Kevin Gray is associated with. Should sound awesome! I'd like to play this for the kids. Feeling lucky today, want to have this! I've been searching for a copy and would love to have Intervention's release. Nigel and I, its just right. Hopefully adding this to my collection! I...just....can't....resist...the...pun......Yes, I like getting some Head! Got to be in it, to win it! A big fan of what Intervention Records is doing with reissues. I've already pre-ordered it from Mr. Bezos's Company-out-to-take-over-the-World-of-Retail but I would rather be able to cancel the order and do less to support that Company. So, give it to me please. Would be heavenly if I won. I have the original version released in '72 but it's a bit beat up now. Would love to hear a clean version on vinyl of this most remarkable album. One of the great, undiscovered classics. never heard this particular record so would love to win. I am sure it sounds awesome, plan to purchase regardless. I would love to win this album. I've never heard this album, but if Mike says it's great then that's good enough for me. I'll have one. Don't mind if I do! Jesus Christ Superstar, I would love to win this! hopefully me! Thank you Intervention Records and Analog Planet. I admit I didn'tknew the record before I read Phill Brown fantastic book. I am still looking for original but this rerelease is something I don't want to miss. I have several original German pressings of Murray Head's albums. He has been truly underrated. Oh yes, would like to win this one!!!! I would love to add this to my $14 album collection! Would be a great way to celebrate the first anniversary of my Prime with. can't afford much but still here and love the site and information! Just listened to this album on Tidal and I would love to have it on vinyl. yeah I want this one! My odds seem slim. Good Luck to all. I would love to own this. Never heard it. Looks interesting. Nigil will live and spin in my cave if I score it. I enjoyed his Judas, so I'm keen to hear his Nigel. Thanks. 45 speed has been set. Head of a major corporation? Let's hope it was a good life! Hope to win this gem!